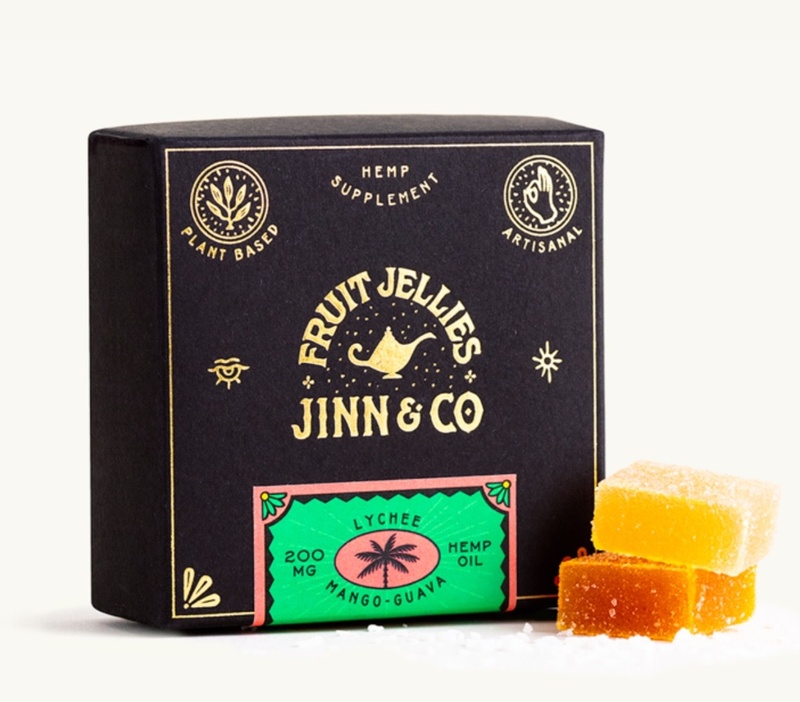 25mg broad spectrum hemp oil per piece, 8pc box, 100% plant-based, all natural ingredients. 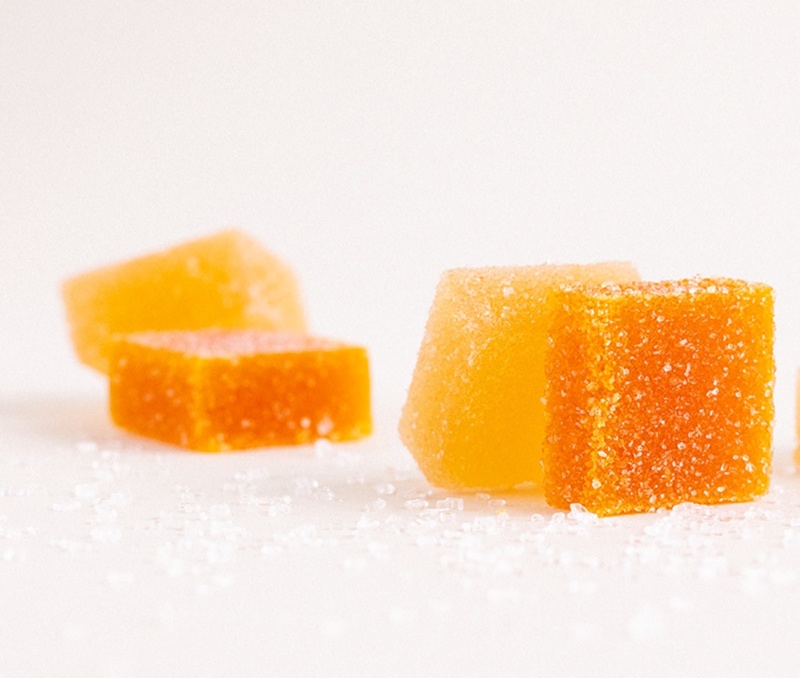 These confections are gorgeous and delicious. 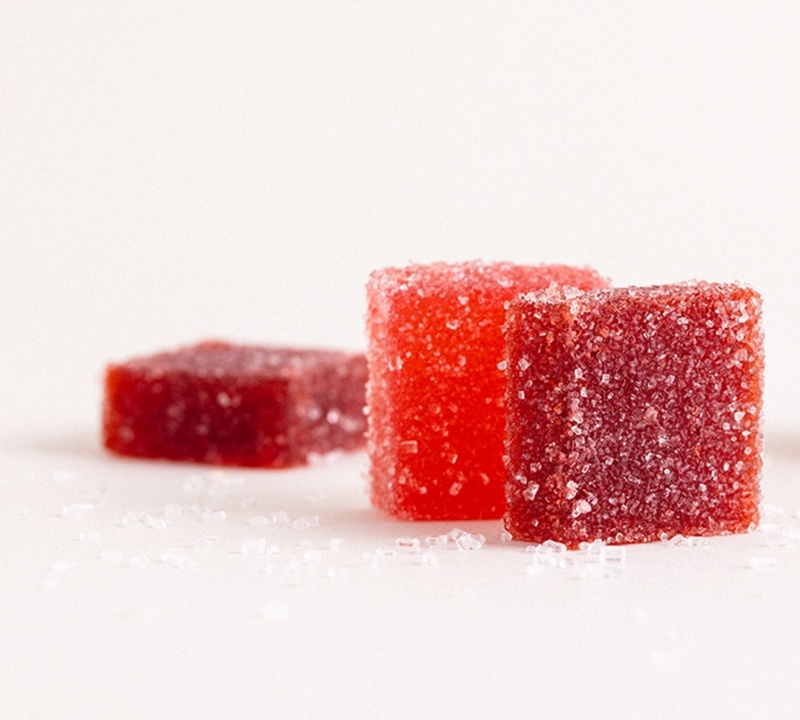 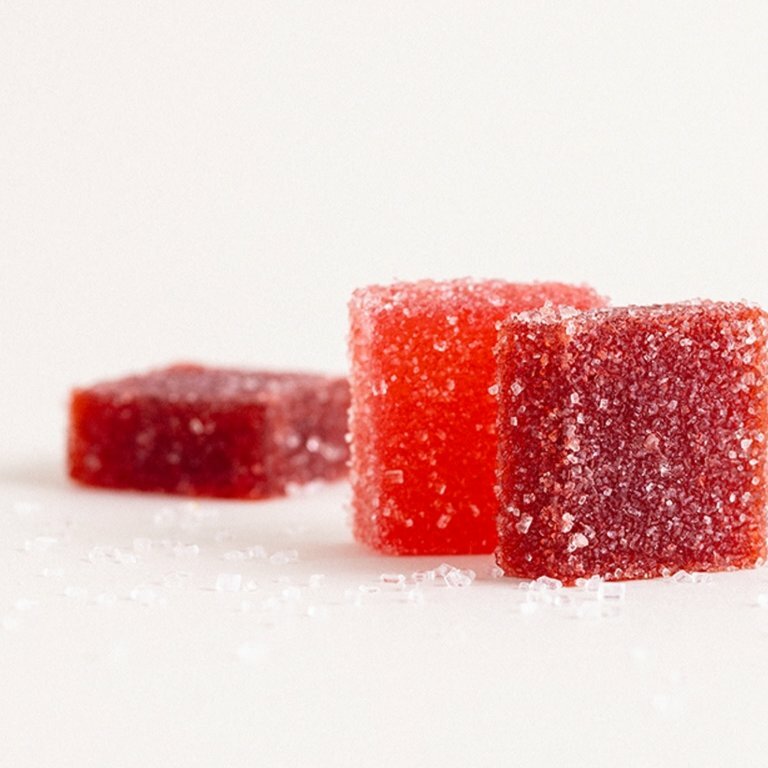 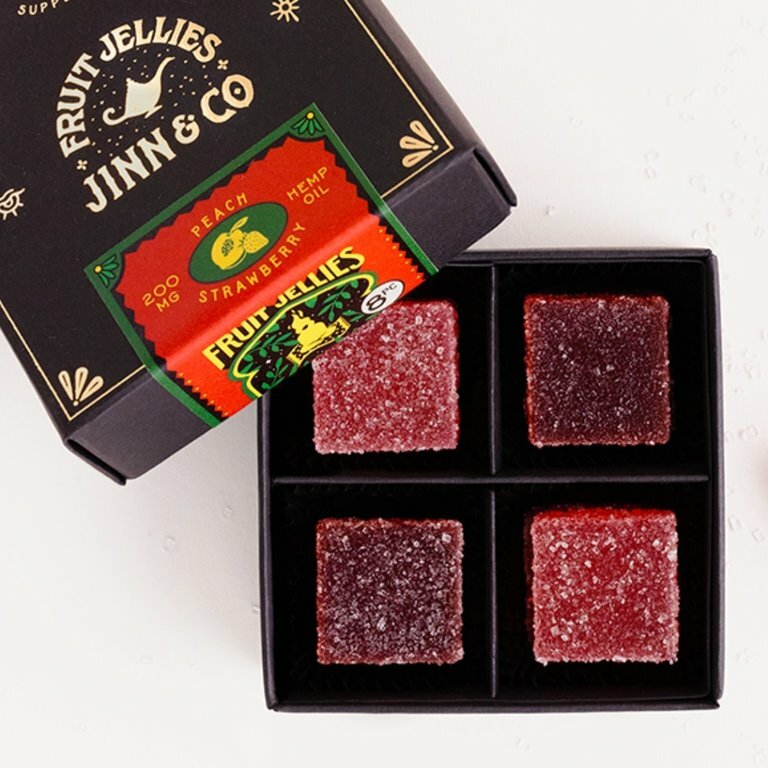 Based on the classic French confection Pâte de Fruit, our jellies combine a surprisingly simple list of natural ingredients (scroll down to see) to deliver remarkably intense fruit flavor. 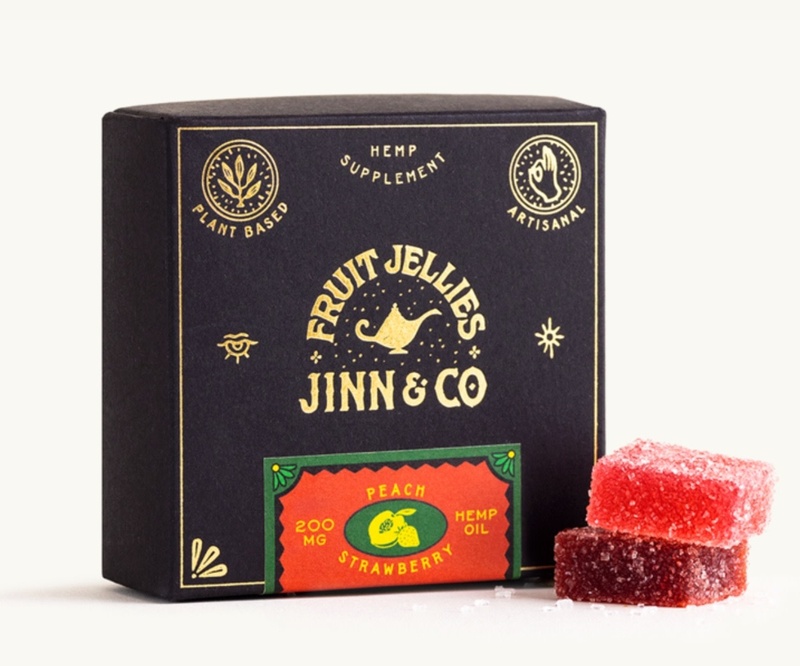 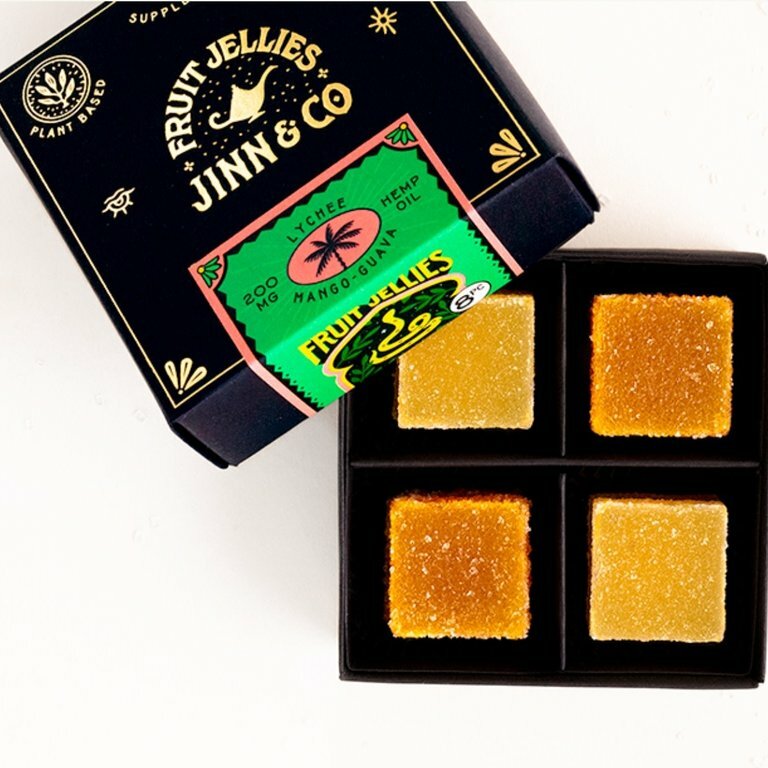 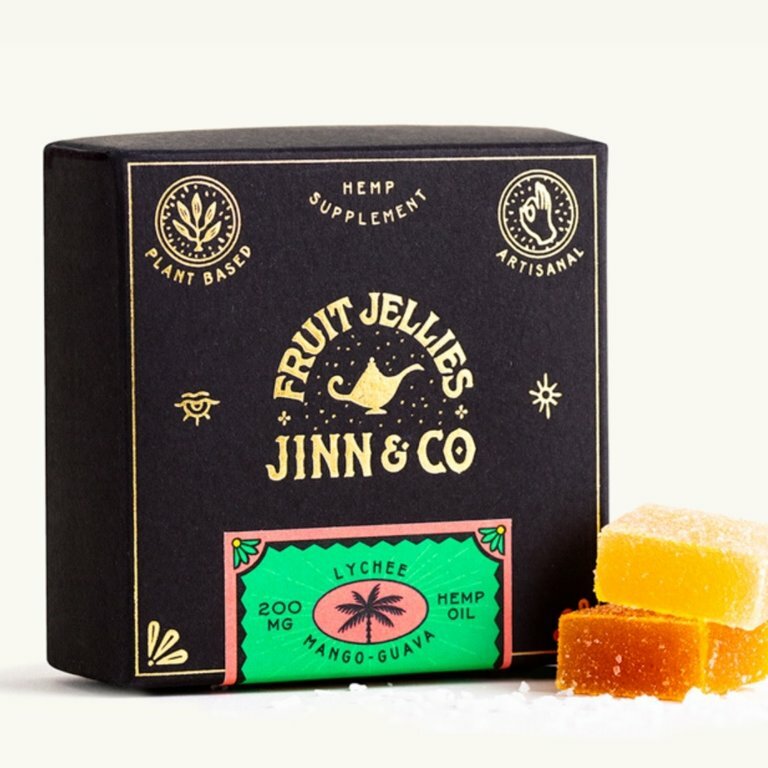 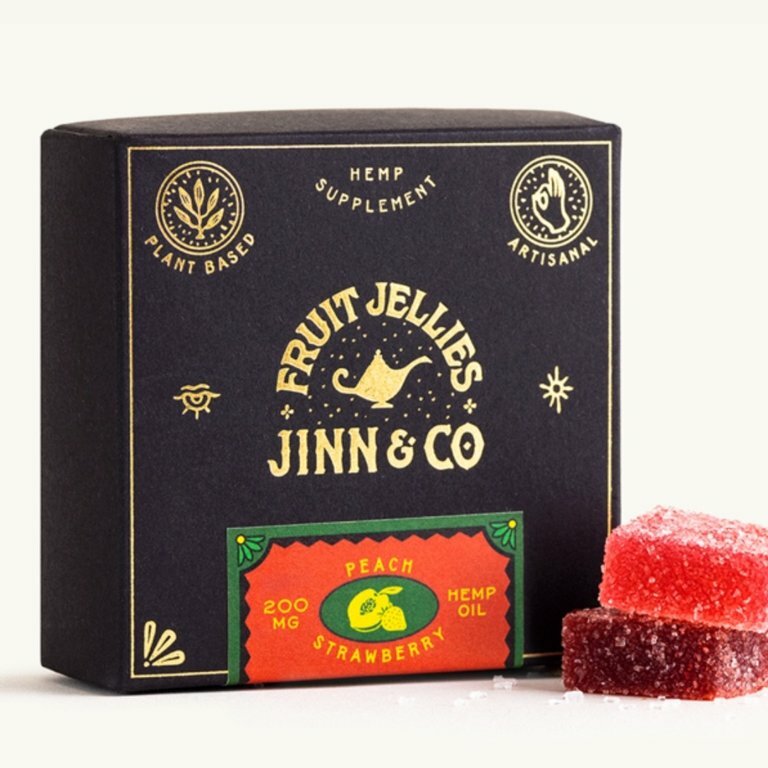 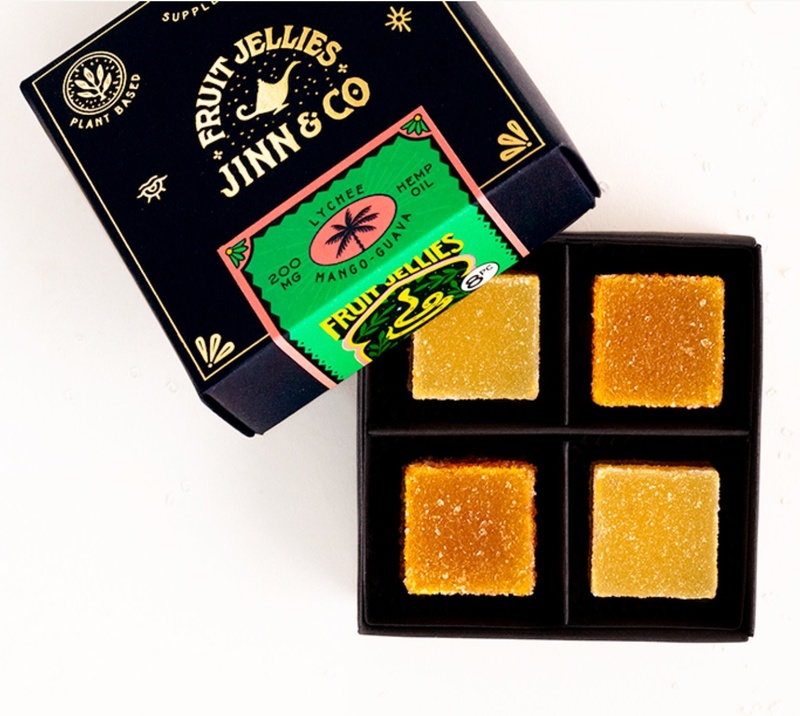 Jinn & Co's fruit jellies are made by hand using traditional methods in true artisanal fashion and contain zero artificial colors or flavorings. 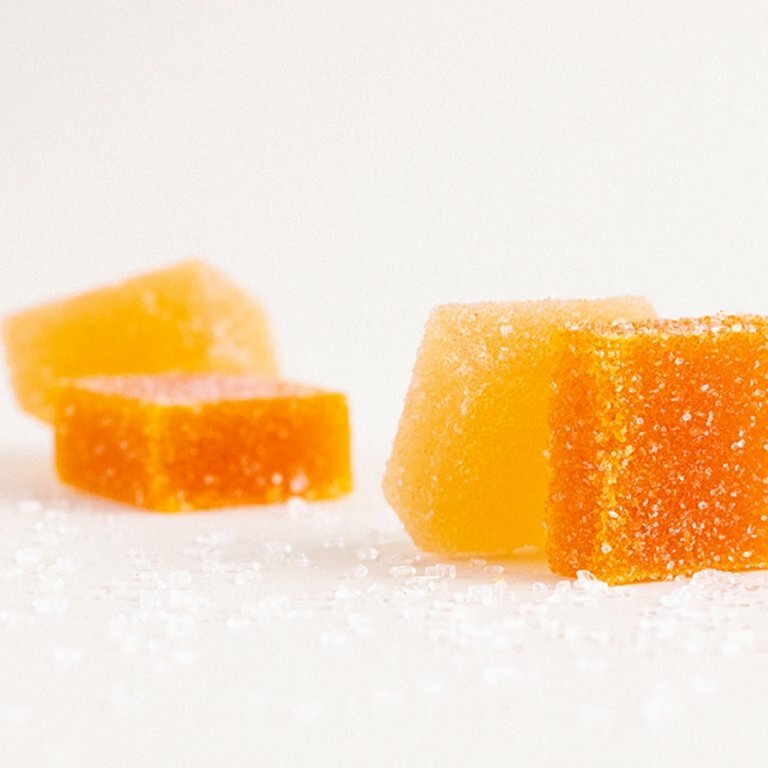 Softer than a gummy, refrigerate if you prefer a firmer texture.